At Lighting One®, our mission is to provide our affiliated showrooms across North America with amazing lighting options they can pass along to their customers. If you’re a homeowner looking for new lights for your outdoor landscaping, or you’re building a new home and you need a complete outdoor lighting package, then one of our member showrooms can supply everything you need. Two areas that are imperative to your home’s design are the landscaping and outdoor architecture. From the stone steps leading up to your home to the trees that line your property, you want everything to work together to create a lasting impression on anyone who visits. The best way to create that impression is to have the proper outdoor and landscaping lighting in place. By visiting one of our affiliated showrooms, you can find everything you need, from outdoor sconces to pathway lights and post lanterns that will brighten your yard and enhance your property. You spent hours and hours designing and planning your new landscaping, and the last thing you want is for people to miss its beauty and grandeur because it’s not properly illuminated. Putting your landscape lighting in the right place can make all the difference, and the staff at your local showroom can help you design, plan, and install your new fixtures. You may be working with a professional landscape designer or architect, or you may be tackling the project yourself, but whatever the case may be, it can be extremely helpful to draw out your landscaping plan. By finding the scale of your new yard, you can plan out the pathway lights, spot lights, and other fixtures that will be a part of your landscape design. You’ll need a plan where trees and shrubberies are, and where certain textures such as stonework will need illumination in order to provide the perfect touch once the sun goes down. You can also plan for safety and security, making sure that visitors can navigate your yard and sidewalks after dusk. Landscape lights play an important role in curb appeal and the protection of your home, and you don’t want to omit any necessary fixtures. You can spend quite a lot of time looking through design catalogs or browsing websites for landscape lighting ideas. While these sources can inform your layout and design, there’s nothing that quite compares to seeing fixtures firsthand. By visiting a Lighting One member showroom, you can see and touch each light, which can help you get a feel for it and decide if it’s right for your design. The showroom staff will walk you through their selection and help you narrow down your choices, making it easier to finalize your plan and get started on installation. Once you’ve chosen your new fixtures, it’s time to install them in your yard. There may need to be dedicated wires installed for certain lights, while others will need to be mounted on the side of the house or in your new hardscaping. Be sure to ask your local Lighting One-affiliated showroom about landscape lighting installation services that they offer, or if they can recommend a local contractor who can do the work for you. You can install the lights yourself, but without the proper knowledge and the right tools, you could be left feeling unsure about what the best approach is or how to safely install a certain fixture. At Lighting One, we want you to have access to the finest landscape lighting fixtures. Visit one of our member showrooms today to learn more! The exterior of your home is much more than the sidewalk, the garden, and the landscaping that surround it – it’s also the porch, the deck, and the gazebo in the backyard. All of these areas need proper lighting as well, and choosing the right fixtures can transform a drab or dull space into an inviting and comfortable one. At Lighting One, we’re amazed at the number of outdoor lighting options that our aligned suppliers provide us with, and you can find a number of these options in your local showroom. Your local Lighting One-affiliated showroom is staffed with home design experts that can help you decide what lights you need and where they need to go as it relates to outdoor seating areas, entertainment areas or even the lighting that shows off key focal points of your landscaping. Everyone loves the glow of a porch light, and it can be the perfect way to welcome someone to your home. However, a single semi-flush porch light may not be enough to illuminate the exterior of your home, and that’s where other entryway lights come in. 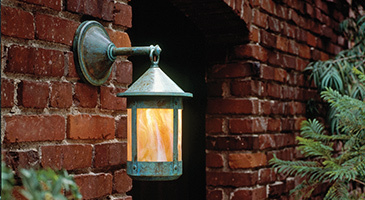 Outdoor sconces can look great next to a door, and if you have a long sidewalk that leads to your front steps, then why not consider adding a lantern fixture to a post? 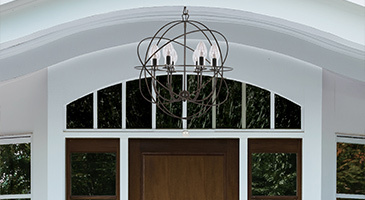 Frosted glass shades on these entryway fixtures will reduce the glare as people approach, while helping the fixtures put forth that perfect welcoming glow. You may think that hanging lights such as pendants and chandeliers are reserved for the dining room or family room, but the truth is, there are many outdoor applications for lighting such as this. If you have a covered deck or patio, then a few hanging lights can provide the light you need to see while entertaining guests, while also creating balance and symmetry within the outdoor space. If you have an extended or wraparound porch, pendants installed at regular intervals can create a beautifully aesthetic area. An outdoor chandelier can be the perfect touch to an backyard dining area where you plan to host family gatherings over the spring and summer. You can also add strand lights over a seating area to create a cafe/bistro feel. By setting your hanging lights at the proper height, you can provide adequate illumination while not impeding on the comfort of your outdoor spaces. Recessed lighting also has its place on the outside of your home, and can work perfectly under low-hanging eaves on your house or garage. If you don’t have the vertical space for a hanging light, but you want to illuminate the driveway or another large area, multiple recessed lights can provide the illumination you need. Recessed fixtures can also include step lights and deck lights that are mostly hidden, but offer the light that is required for safety and enjoyment. There is an endless number of fixture styles and sizes to choose from when it comes to your new outdoor lighting, but knowing what type of fixtures you need will make it much easier to make the right choices. Your local Lighting One member showroom will have entryway lights, hanging lights, recessed lights, and everything you need to finish your outdoor projects. Visit one of our member locations today! One of the primary goals of your outdoor and landscape lighting is to create a beautiful exterior that causes guests and passers-by to stop and take everything in when they see your property. You want to create an ambiance of comfort and invitation, so no matter where you are on your property, you, your family, and your visitors feel right at home. However, there’s another primary goal of exterior lighting, and that’s to make you feel safe once the sun goes down. Safety and security are key priorities for any homeowner, and proper lighting plays a very big role in both of those priorities. Motion sensor lights can make your life easier, since they come on whenever you pull into the driveway or walk by a certain part of the house. They can also deter any trespassers from approaching your house from an alternate route by turning on and staying on for a set period of time. Someone who is walking up to your house with intent to break in or cause damage can be deterred by a bright light being cast upon them. Spotlights and floodlights are also important when it comes your home security. These can be situated to shine on a certain part of your landscaping or on a certain part of the house to accentuate the design features, but they also eliminate any dark or unlit areas around your yard. You don’t want to bathe the entire yard in light, but having spotlights and floodlights in the right places can discourage trespassers or intruders. You may have the perfect fixtures for your home’s exterior, and everything may have been installed exactly how you wanted, but without the proper controls, your lights might not work at peak efficiency. Having certain lights come on at the same time each evening and turn off at the same time each morning can help you save on energy bills. They can also create the perception that you’re home, even when you’re away on vacation. Timers, sensors, and other controls can also make your life easier, since the lights will be on or turn on when you come home after dark and have your arms full of groceries, or you’re trying to get the kids from the car to the house. The right outdoor lighting is essential when it comes to home security, and your local Lighting One-affiliated showroom can help you find the ideal fixtures for any setting. If you’re concerned about there not being enough lighting in certain parts of your yard, or you’ve noticed that the area near your driveway and garage isn’t properly illuminated, then visit your showroom today and find the proper lighting. New exterior lighting can mean a safer home! Lighting styles come and go, and what was in style five years ago may not be any longer. If you’ve lived in your house for some time, you’ve likely made changes to your interior lighting, but what about your outdoor lights? That semi-flush porch light from 1995 may shine brightly, but does it match the updates you’ve made to your home’s interior. 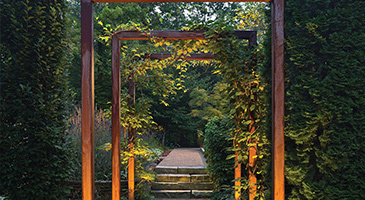 Do your garden and pathway lights look like what you want them to, or are they beginning to look a little dated? Making changes to your outdoor lighting is much easier when you know a local lighting showroom that you can trust. Browsing online can only get you so far, whereas walking into a store and choosing fixtures on display can give you a better sense of how your new lights will look around your home. That’s the benefit of having a Lighting One member showroom in your town or city – a lighting expert is never far away, and they live in the same community that you do. Every showroom in our lighting cooperative is locally owned and operated, which means that the money that you spend there is kept in the local economy. 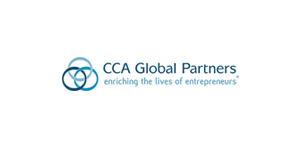 Our members have access to innovative products and services, which gives them an edge against online retailers and big box stores that carry the exact same thing in every location. Your local showroom will work to build a relationship with you, and become your resource for all your home lighting needs. At Lighting One, we want to give you an immersive experience when it comes to outdoor and landscape lighting. We want you to be able to find the perfect fixtures that fit your design and your budget. Whether you’re building a new house or you’re renovating your yard, you can find outstanding options at your local showroom that you’ll love using for years to come. The exterior of your home will be more dramatic and more inviting, and you won’t have to worry about safety and security any longer.